Carla Vergot has been writing this book (in her head) since her undergraduate days at NC State. 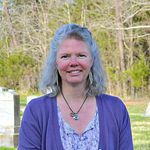 Carla Vergot has been writing this book (albeit, in her head) since her undergraduate days at North Carolina State University. From there, without writing a word of the story, she worked in fundraising, got a master’s at George Mason University, taught special education for several years, and finally, after all this time…wrote a book. For fun, she and her husband drive Jeeps off road, camp, and grow organic vegetables. They have two dogs, Booker and Marble, who keep things interesting. Carla suffers from TMA (Toasted Marshmallow Addiction), and she heads up a spider relocation program, meaning she habitually moves spiders and other bugs out of harm’s way. Success! 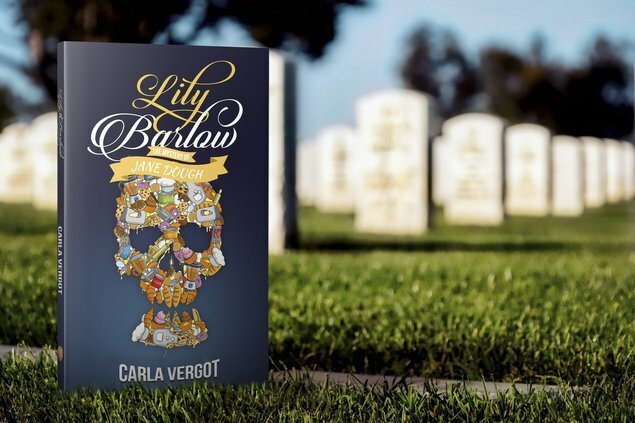 Lily Barlow sold 1 pre-order by Oct. 11, 2018, was pitched to 2 publishers, and will be published by LE Press. • A Sneak Peek of Book 2 with a few pages of the book sequence. Lily Barlow, a quirky college student obsessed with the fictional bounty hunter Stephanie Plum, is called home from the University of Virginia to get the family bakery running. Quirky Lily Barlow idolizes the fictional bounty hunter Stephanie Plum from the Janet Evanovich series and longs for that kind of freewheeling lifestyle—a life where she makes her own rules. The problem is, there are no criminals or noteworthy crimes to speak of in her small and stifling hometown of Marshall, VA.
As a fallback, the plucky college student plans to escape “Yawnsville,” where she was born and raised, by pursuing a degree at the University of Virginia. To her, the fact that she has switched majors multiple times and remains currently undecided is not at all important. However, to her consternation, those college plans are put on hold when she is called home to help resuscitate her family’s business, Poppy’s Bakery, after her father suffers a heart attack. First things first. She doesn’t want anybody jumping to the conclusion that she’s coming home for good; she didn’t get the baking gene, and she reliably burns anything she puts in an oven. Still, you can see how people would assume she would take over for her dad. To squash that rumor before it becomes historic record, she rents a little efficiency garage on the edge of town. Her new landlady, Miss Delphine Walker, is a senior spitfire in floral print. She’s stubborn, independent, and knows her mind. Sure, she and her dog, Velcro, are likable enough, but Lily has a vivid imagination and a knack for turning everyday occurrences into true crime plots. It’s pretty clear to her that this old bat is hiding something. Lily jumps from one crazy conclusion to the next until finally determining that Miss Delphine is a murderer—and the body may or may not be buried on her property. Upon settling into her new, temporary place, Lily throws herself a royal pity-party, complete with confetti. She has a little too much tequila, and on the advice of her good friend Mercedes, tries to research dough as a way to connect with the family bakery in a more zen-like way. In the process, she stumbles across an online clearing house for records of murder victims that the cops have not been able to identify. With a love of the macabre, it doesn’t take long before Lily is fully immersed in the details of these unidentified dead bodies. She revisits one particular case over and over and becomes convinced she knows the person. Suddenly, her single-minded goal of getting the bakery running grows a few more legs. Feeling honor-bound to give a name to the woman in the profile, she launches her own little investigation. When choosing between excitement and personal safety, she always comes down on the side of the first one, taking a lackadaisical approach to the second one. That’s okay, though, because she has Jack Turner for the personal safety piece. Ah, good ol’ Jack Turner. In addition to being a mechanic, firefighter, and poster boy for preparedness, Jack has been Lily’s best friend since kindergarten. She hates that he likes to micromanage every single cotton-pickin’ thing she does. It’s annoying but done out of brotherly love so she has come to accept his involvement in her life. Out of nowhere, Jack takes this opportunity to lob another red rubber ball into this crazy dodgeball tournament with a revelation that throws Lily completely off her game. Jack apparently wants something more. Something more? Like what? Lily wonders. A second helping of mashed potatoes? While offering his support and assistance in the area of the quasi-investigation, Jack begins to pursue Lily romantically. Lily is diametrically opposed to this turn of events and fears any romantic dalliance will sabotage their long friendship. The friendship is not the only thing at stake. If she gets sucked into a relationship, it could ultimately derail her dreams of escaping the small town. One of Jack’s personality traits, aka character flaws, has always been perseverance. Lily knows it won’t be easy to keep him at arm’s length, but she’s dealt with him all her life, so she’s up to the challenge. As she juggles the bakery and boy drama, Lily throws herself into the mystery of the murder victim, coming up with a plan to prove the identity of the woman. Jane Dough is filled with unexpected turns and showcases a cast of memorable characters, including a badass bass player and a rogue chicken named McNugget. on Sept. 11, 2018, 11:29 p.m.